Here is a video by a rabbi claiming that the Germans turned on Jews for no reason. According to Jews, gentiles often randomly want to kill jews for no reason. The Jewish religion claims a mysterious phenomenon manifests in gentiles for no reason at all, which makes them want to exterminate Jews. Secular Jews call this "anti-semitism" and offer all sorts of goofy explanations as to why it exists. Russian Proverb: "The Jew will always tell you when he has been persecuted, but never why." Jews have been expelled from hundreds of countries in history, and this presents a bizarre situation for anyone who looks at the issue objectively. Apologists for the Jews never offer any sort of reasonable explanation as to why people have kicked them out of virtually every single place that they resided in throughout history. How well were Jews assimilated into Germany around the 1920s and 30s? Lessons of the Holocaust: Diversity + Proximity = War? Re: "We were Germans, not Jews" - How assimilated were Jews in Germany? “German Jewry, which found its temporary end during the Nazi period, was one of the most interesting and for modern Jewish history most influential centers of European Jewry. During the era of emancipation, i.e. in the second half of the nineteenth and in the early twentieth century, it had experienced a meteoric rise…. It had fully participated in the rapid industrial rise of Imperial Germany, made a substantial contribution to it and acquired a renowned position in German economic life. Seen from the economic point of view, no Jewish minority in any other country, not even that in America could possibly compete with the German Jews. They were involved in large scale banking, a situation unparallelled elsewhere, and, by way of high finance, they had also penetrated German industry. A considerable portion of the wholesale trade was Jewish. They controlled even such branches of industry which is in general not in Jewish hands. Examples are shipping or the electrical industry, and names such as Ballin and Rathenau do confirm this statement. I hardly know of any other branch of emancipated Jewry in Europe or the American continent that was as deeply rooted in the general economy as was German Jewry. 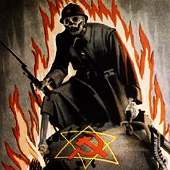 American Jews of today are absolutely as well as relatively richer than the German Jews were at the time, it is true, but even in America with its unlimited possibilities the Jews have not succeeded in penetrating into the central spheres of industry (steel, iron, heavy industry, high finance, shipping), as was the case in Germany. Assimilation implied adherence to codes of behavior and a dominant value system. The Jew belonging to the middle levels of society or to the property-owning classes had also to accept the norms of daily life and culture. The entry of the Jews into German society as a process of bourgeiosification [Verbürgerlichung] has to be understood in this very broad sense. However, acculturation stubbornly pursued and brought to a triumphant conclusion was not immune to the contradictions mentioned above. The Jews could live like but rarely with middle-class Germans; they could become imbued with the values of the host society but strong counterforces prevented them from merging with it; they could recognize themselves there, but were not recognized. From my reading, I'd say that there were a range of views amongst German Jews, ranging from Zionist separatism (Herzl) to those who sought common ground in rationalist religion (Hermann Cohen) or communism, to nominal and real Christian converts (the church being stronger then in Germany than it is now, though hopefully it will recover). It was the Jews with their international affiliations and their hereditary flair for finance who were best able to seize such opportunities. They did so with such effect that, even in November 1938, after five years of anti-Semitic legislation and persecution, they still owned, according to the Times correspondent in Berlin, something like a third of the real property in the Reich. Most of it came into their hands during the inflation. But to those who had lost their all this bewildering transfer seemed a monstrous injustice. After prolonged sufferings they had now been deprived of their last possessions. They saw them pass into the hands of strangers, many of whom had not shared their sacrifices and who cared little or nothing for their national standards and traditions. The Jews obtained a wonderful ascendancy in politics, business and the learned professions (in spite of constituting) less than one percent of the population. The banks, including the Reichsbank and the big private banks, were practically controlled by them. So were the publishing trade, the cinema, the theatres and a large part of the press all the normal means, in fact, by which public opinion in a civilized country is formed. The largest newspaper combine in the country with a daily circulation of four millions was a Jewish monopoly. Every year it became harder and harder for a gentile to gain or keep a foothold in any privileged occupation. At this time it was not the ‘Aryans’ who exercised racial discrimination. It was a discrimination that operated without violence. It was exercised by a minority against a majority. There was no persecution, only elimination. It was the contrast between the wealth enjoyed and lavishly displayed by aliens of cosmopolitan tastes, and the poverty and misery of native Germans, that has made anti-Semitism so dangerous and ugly a force in the new Europe. Beggars on horseback are seldom popular, least of all with those whom they have just thrown out of the saddle. I watched the Brown Shirts going from shop to shop with paint pots and daubing on the window panes the word 'Jew', in dripping red letters. The Kurfürstendamm was to me a revelation. I knew that Jews were prominent in business life, but I did not know that they almost monopolized important branches of it. Germany had one Jew to one hundred gentiles, said the statistics; but the fashionable Kurfürstendamm, according to the dripping red legends, had about one gentile shop to ninety-nine Jewish ones. Last edited by Lamprecht on Sat Apr 13, 2019 11:36 pm, edited 1 time in total. EtienneSC wrote: From my reading, I'd say that there were a range of views amongst German Jews, ranging from Zionist separatism (Herzl) to those who sought common ground in rationalist religion (Hermann Cohen) or communism, to nominal and real Christian converts (the church being stronger then in Germany than it is now, though hopefully it will recover).